Oh Happy Day is a DIYer’s dream! Have you heard of this bloggy goodness yet? I found so much amazing inspiration for Bodhi’s birthday here. Everything is very approachable, inexpensive and fun! At least a few of these projects will make the final cut for Bodhi’s 1st birthday next weekend. 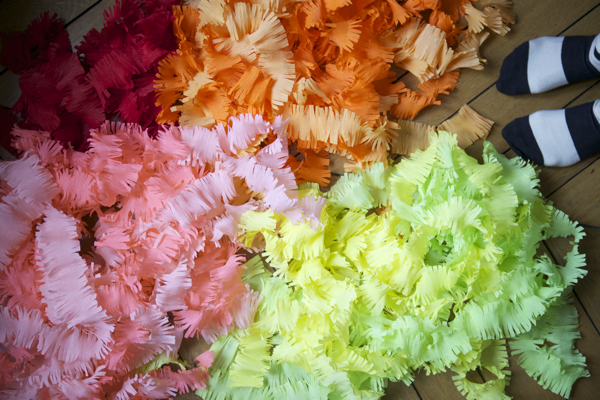 The photo above is simple crepe paper fringed streamers and there is so much more where that came from.